To fail or not to fail? 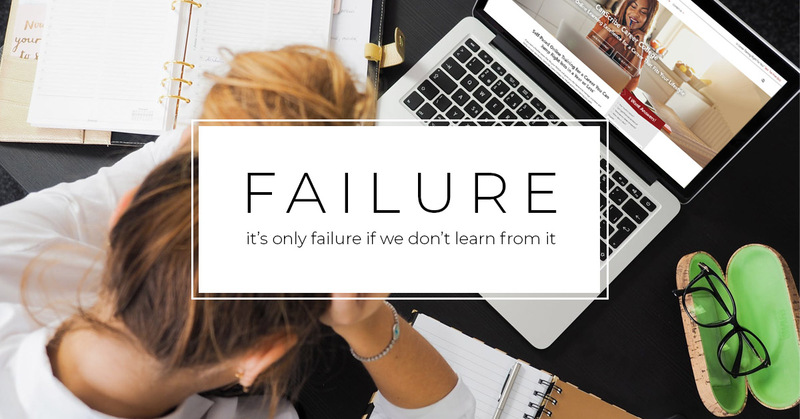 Before we answer this, we need to understand how failure is a massive part of life. Also, how it affects and motivates people. Failure and the motivational effects are known to be pivotal to a success story rather than detrimental. How do those that continually fail rise to the occasion? The story of a single mother struggling to get by. Today we know her as J.K. Rowling. Before she became one of the wealthiest authors in the world, her original Harry Potter pitch was rejected twelve times. She is an excellent example of how failure builds determination. J.K. Rowling never gave up even when she was rejected literally a dozen times. “Some failure in life is inevitable it is impossible to live without failing at something unless you live so cautiously that you might as well not have lived at all – in which you fail by default.” A quote beautifully said by Rowling herself. She is the epitome of determination. Have you ever heard someone tell you to embrace failure? Well, they weren’t wrong. With failure comes humility. Humility in response to failure can be a cure for pompousness, arrogance, and one’s own narcissism. We feel humble after failing at something and recognize that we are not as great as we thought we were. Humility asks us to acknowledge our imperfections by doing, so it gives us clarity. It forces us to clear out all of our narcissistic thoughts and direct our attention in on what’s most important. Gaining humility and opening our point of view on life changes our motivation. By doing so, we get more insight into how we can improve the way we go about things. So, don’t be afraid to embrace failure because failure is only failure when we don’t learn from it. Humility isn’t the only thing you gain from failure. It’s also not the only thing that changes and reforms our motivation. Realization is often obtained through failure. Realizing all of the bad habits that we were taught as children and ingrained into us from the start. Or, understanding the reason we failed every time is because our values weren’t aligned with our goals. For whatever reason, realization helps us take a step back and slowly tries to change our bad habits. Or helps us change our values so that our goals are more attainable. Realization helps us to improve our skills. It gives us more inspiration to want to do better. With realization comes inspiration. There is no doubt that there is weakness in failure. With weakness also comes faith. A lot of people obtained their faith when they were at their lowest point. When you have nowhere else to turn to and are at that point in life where it is the darkest that is where people find faith. With no appearances to maintain, with no care of what others think, with everything laid bare you start to value something more. More than just money, cars, and trophies. You begin to realize in self-care and become one with yourself. Faith is that small light at the end of the tunnel wanting you to push forward. To answer the question to fail or not to fail? We would say fail as many times as you can. Those that continually fail always rise to the occasion with determination, humility, realization, and faith. It is what you gain from failure that is true success.